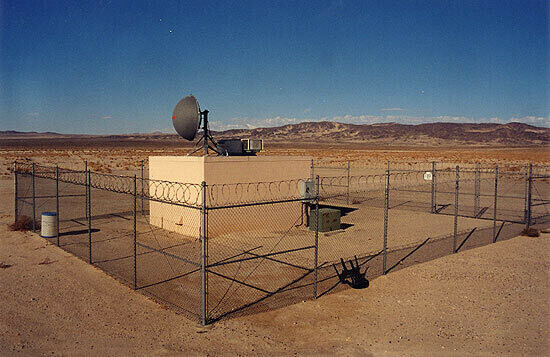 The Coyote Lake Ground Return Electrode is a 2,000 foot wide ring of metal rods extending nearly 200 feet into the ground, next to a remote dry lake, near Yermo. The electrode is connected to the inverter station at the Adelanto Switching Station, 30 miles away, which is the southern terminus of the 500-mile-long high voltage DC line connecting to the Intermountain Power Plant in Utah. Long distance DC lines require these ground return electrodes at either end, to carry the current through the ground in the event of some system anomaly. 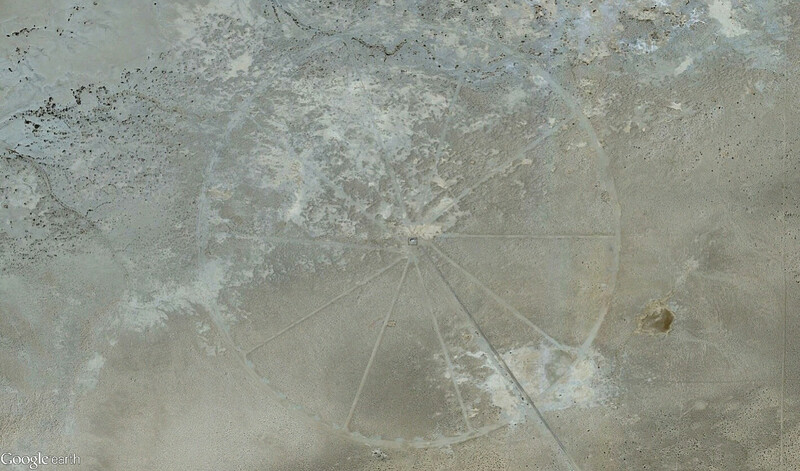 There is a similar electrode at the other end, in Delta, Utah.